No conversation about historic recordings of J.S. Bach’s music can begin to take flight without mention of Pablo Casals’ early discs of the Six Suites for Solo Cello. And no musician has been more closely associated with the Suites than the Catalan cellist who first discovered a dusty score of the set in a small shop on a Barcelona side street. That was in 1890, just as he was entering his teens. Casals would later tour them in the interwar years, eventually giving them relative permanence on record, both in sessions at Abbey Road and in Paris (1936-39). Watch him perform the first half of the opening Suite in this documentary footage taken in the French abbey pictured to the left, in 1954. It’s important to remember the 1930s as a decade of certain striving for classical music in the studio. Only to scratch the surface: In that period we find Edwin Fischer carrying out the first complete recordings of Bach’s Well-Tempered Clavier on the piano (1934-36). For his own part, pianist Arthur Schnabel sat down in the studio to capture the first complete cycle of the Beethoven sonatas (1932-35). So it is that Casals’ recordings of the Six Suites take their place somewhere alongside those historic studio performances of the “48” and the “32,” respectively, the so-called “Old Testament” and “New Testament” of keyboard literature. But when Casals set up to put down the complete performances of Bach’s music for solo cello, the six suites were not yet part of a fixed tradition of any kind. If it’s true that tradition can never quite properly be called fixed, it’s still the case that unlike Fischer’s contemporaneous recordings of Bach, or Schnabel’s of Beethoven, Casals was not putting his stamp on works that were considered part of a perceived “canon” as such. Few, at the time, were at all familiar with the Cello Suites. It was through Casals that they saw the light of day for the very first time, and it was Casals who illuminated the road for cellists and audiences to come. 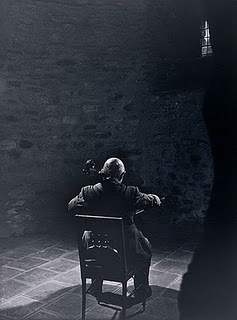 Before Casals, to search for the suites was to jump at shadows. In The Cello Suites: J.S. Bach, Pablo Casals and the Search for a Baroque Masterpiece journalist and author Eric Siblin illuminates the story of the cello suites in the context of Bach’s own life, sketches out Casals’ lifelong relationship with them, and colours the whole with personal reflections about his own initial search for, and continuing journey with Bach’s cello music. Siblin’s stellar and approachable book is an invitation to come along for the ride. As Siblin suggests, it is in no small way due to Casals that we have come to listen to Bach’s music for solo cello as part of a greater musical story of some kind. These six soliloquies, voiced by a single performer on his solitary instrument, have since found their audience. This is desert island music. An inexhaustible well. Casals’ Bach. Cello Suite Jesus! *Quote taken from the liner notes to the Naxos Historical issue of Casals’ Cello Suites (linked to below). **Eric Siblin, The Cello Suites: J.S. Bach, Pablo Casals, and the Search for a Baroque Masterpiece (Toronto: House of Anansi Press, 2009).